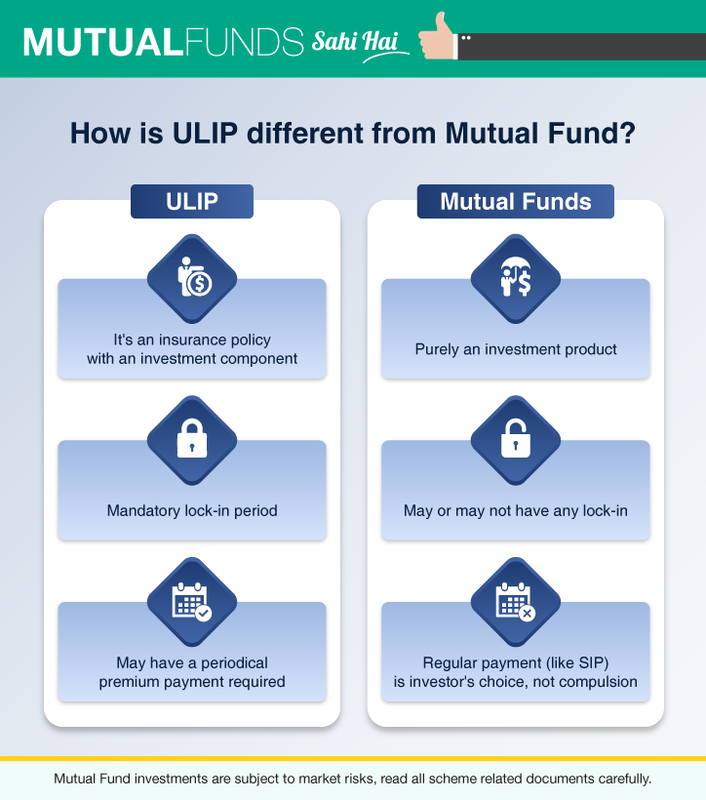 What is ULIP & How is ULIP different from Mutual Fund? A ULIP is Unit-Linked Insurance Plan. It is a life insurance policy with an investment component that is invested in various financial markets. The returns generated by the investment component determine the value of the policy. However, the sum assured on the death of the policy holder may not be a function of the market – the minimum sum assured may remain unaffected. In other words, a ULIP is a hybrid product, combining investment and insurance. 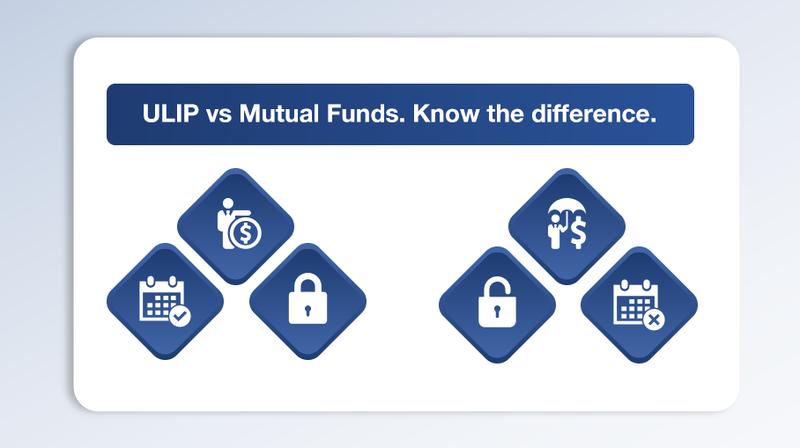 The investment component of ULIP is similar to a Mutual Fund. 1. Both are managed investments. 2. For both, a team of professionals manages the investments and the funds are invested in line with a stated objective. 3. There would be units allotted to the investor on purchase and there would be NAV per unit declared periodically. Since ULIP is an insurance policy, failure to pay regular premium would result in termination of the risk cover. In Mutual Funds, all the expenses are charged before calculation of the NAV, whereas in case of ULIP, some expenses are charged like mutual funds, whereas some others are charged by cancelling a small number of units from the investors’ accounts. Within one ULIP product, there could be more than one fund options and the investor is free to switch between these funds. However, some schemes put a restriction on the number of free switches in a year. In case of mutual fund, switches from one fund to another are allowed any number of times, but depending on the scheme from which one is exiting, there may or may not be exit loads.